Creases on a shoe can look unsightly. Firstly, leather creases. There is no such thing as a crease free leather. 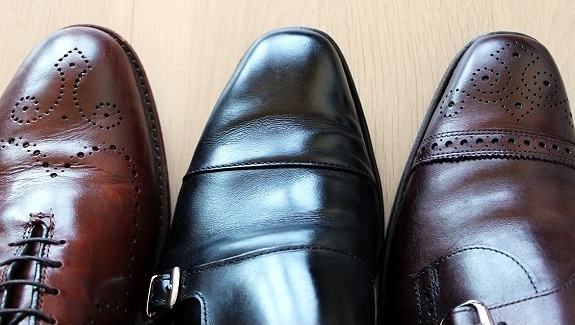 there are many factors that play into extent of creasing for your leather shoes. But rather most of it has nothing to do with the quality of leather or the shoe. And the reasons why your shoes crease the way they do. Bad fitting shoes will definitely lead to bad creasing. But that doesn't mean a perfect fit would lead to no creasing. This makes creasing more prominent. As there is less room for the leather to bend and crease. But he is less likely to have prominent creasing. Most of the time, good/bad leather quality does not make much of a difference when it comes to creasing. While a cheaper lower end leather shoe might not. But it does not make their leather more superior. So wearing it just makes the creasing worse. This is arguably the most critical reason. 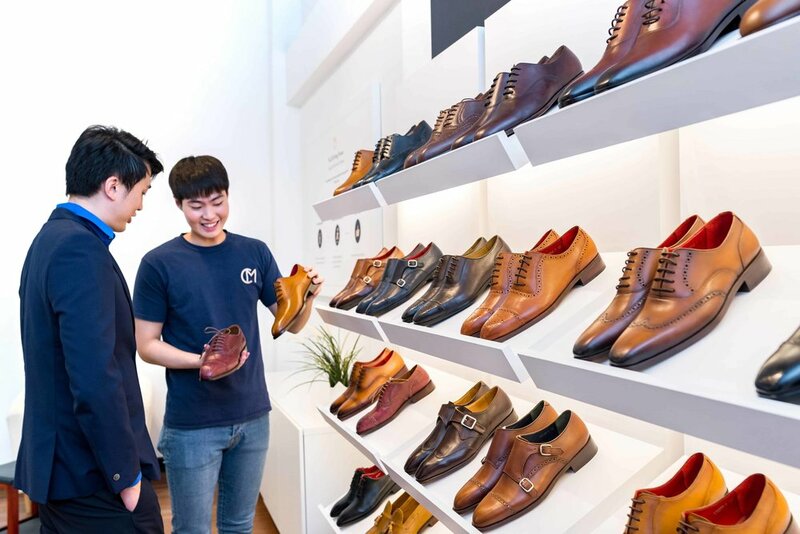 Plain toe shoes or wholecut shoes would crease more. Full or semi cap toe brogues would have the least creasing. This has got to do with the way these shoes are made. Plain toe and wholecut have less pieces of leather that make up the shoe. This is a wholecut from Berluti, which is one of the best shoe brands. Creasing just happens. This means less tension on the shoe, which means they are most affected by the tension that your feet put on them. CustomMade's Captoe Brogue. See how there are different leather parts stitched together to form the shoe. This spreads the tension between the different leather pieces, resulting in less creasing. I've have seen wholecuts that that crease all the way from the end down to the toe cap. You would never really see that on a full brogue and the design has every reason to do with that. Lasting is the process whereby you wrap the leather around the shoe last (mold) to give the shoe its shape. The less time a shoe is lasted, the more loose space there will be. This results in more prominent creasing. Hand lasting is a more delicate and lengthy process but produces higher quality shoes. And quality shoe brands knows that and would make sure it is done right. This is why shoes are generally more expensive. Or the different temper and resistance of the skin, that someone who hand lasts, will be able to feel. Every shoe would be lasted with the exact same force. Additionally, machine lasting doesn't get the uppers as close to the last as hand lasting does. The shape of the last is lost, somewhat. For example, at CustomMade, I believe in hand lasting so our shoes are all hand lasted. So we have a lasting specialist and his role is only to hand last the shoe during the construction process. How to prevent shoe creases? But you can reduce it. Two main ways to alleviate the creasing. 1. Use a shoe tree when you're not wearing your shoes. A shoe tree will keep the shoe shape and also keep the leather taut. This stretch out the leather creases and reduces the extent of it. A shoe horn will allow your feet to slip into the shoes easily. This means you do not unnecessarily flex the shoes excessively when putting it on. Also, it prevents you from damaging the structure of the back of the shoe. KEY TAKEAWAY: Every shoe crease. And they crease differently. You can wear the same pair of shoes and both sides would crease differently. Or you can even buy two identical pair and wear them and they would also crease differently. So just use a shoe tree and a shoe horn and take good care of your shoes and don't mind the creases!